There are plenty of fun, exciting and educational things to do in Austin, Texas, and the best part is that most of them don't require a lot of money to enjoy. 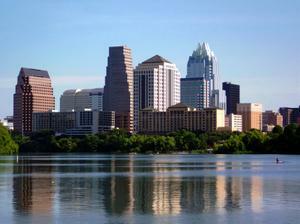 Austin is Texas's fourth-largest city and home to an intriguing mix of cultures. As the state's capital, Austin, blends history, technology, business and education in an enviable package that attracts millions of visitors to the area each year. The city also boasts a legendary music scene. In fact, Austin's esteem for different music genres is so vibrant, that the city's official nickname is "The Live Music Capital of the World." However, Austin's arts scene is not limited to music only. The city also features a significant number of seasonal festivals that highlight the area's most popular crafts and cuisine. Thanks to its prime location in Central Texas and close proximity to some of the state's most beautiful lakes, Austin is also known as a Mecca for outdoor lovers. The city's varied terrain makes it ideal for visitors, who love to run, bike, and swim. One trip to this charming southern city and you'll quickly discover that it has much more to offer than just live music and Texas barbeque. Austin boasts a rich medley of historical treasures, family-friendly events and amazing architecture. A trip to Austin is not complete without touring the Texas State Capitol. The massive structure is made of pink granite and towers 302 feet into the city skyline. The building is 14 feet taller than our nation's capitol and guided tours are offered seven days a week. The granite Texas statehouse stands as a testament to the history of the Lone Star State and its walls tell the story of the city's early days. You can also relive the pages of Texas history at the Bob Bullock Texas State History Museum. The sprawling structure is filled with interactive exhibits, artifacts, an IMAX Theatre and a multi-faceted Texas Spirit Theatre. The museum brings together the myths, legends and facts of Texas all under the same roof for visitors to enjoy and learn from. Another signature site in Austin is the Lyndon Baines Johnson Library and Museum, which boasts copious volumes of presidential papers, a replica of the Oval Office during LBJ's presidency, and a stunning gallery devoted to the artwork of Lady Bird Johnson. Zilker Park: The 360-acre outdoor recreational area features a 10.1 mile hike-and-bike trail around Lady Bird Lake. Barton Springs Pool: The artesian spring-fed swimming hole in Zilker Park is kept at a constant 68 degrees year-round. Lady Bird Johnson Wildflower Center: The natural beauty of Texas Hill Country is preserved in the center, which houses acres of planting areas, wildflower meadows, and exhibits. Barton Creek Greenbelt: The picturesque loop offers nearly eight miles of natural surface hiking and biking trails and is a habitat for several endangered wildlife and plant species. With more than 300 animals calling it home, the Austin Zoo and Animal Sanctuary is one of the most kid-friendly places in the city. The zoo is designed to allow visitors to see the animals close-up. What's more, since it is a rescue zoo, which provides a home to displaced animals from a variety of neglectful situations, kids get the chance to learn about proper animal care and treatment.Another thing to do in Austin, Texas, if you have children is to visit the city's critically acclaimed Dinosaur Park, which features a unique outdoor museum setting. The park is filled with realistic life-size dinosaur replicas. The mock dinos range in size from the 6-foot long Velociraptor to the 40-foot long T-Rex and are placed along a tree-lined nature trail designed to replicate the dinosaur's natural environment. The educational and fun park also promotes hands-on learning with a fossil-dig, playground, and story area.